Okay, I have to swallow a prognostication I repeated several times in my predictions’ posts, readers. Natasha Romanoff and Bruce Banner really do have a romance going on the side in Avengers: Age of Ultron. It was, honest to goodness, a surprise to me. I did not believe Whedon would do it. But I also did not think Hawkeye’s family would be in Age of Ultron, so I am batting a thousand on several fronts. All in all, the Natasha/Bruce romance was not so bad, in my opinion. Whedon may have made it a little sugary in places, but Natasha telling Bruce exactly how messed up she was by her Red Room trainers was very eloquent. That scene also reveals Natasha’s low opinion of herself. She explained there that she sees herself as a monster. Never mind the fact that she is practically Hawkeye’s adopted sister, that she’s been an Avenger for almost three years, and has helped to save countless lives since Clint redeemed her from the “Dark Side.” She still has not forgiven herself for what she was trained, forced, and chose to do in her past. That weighs her down. She has been forgiven by her friends and her “battle brother” has children who adore her like she was their blood aunt. But because she has not forgiven herself, she is still securely chained to her past, as we saw when Wanda hypnotized her in the bone yard in Africa. Readers, we unfortunately cannot discuss Natasha Romanoff’s role in Age of Ultron without mentioning that there was a lot of rage about her portrayal in the film going around after the movie premiered. Though this is not something I empathize with at all, I have strong beliefs about the “rage” that sent certain people into a flurry of Internet activity. Also, this post is discussing Natasha’s role in the film, as well as her character, both of which were savaged in the hours following Ultron’s theater release. So the “rage” that ran rampant on the Internet has to be addressed. Apparently, there were several groups who had gripes about Widow’s part in the film. One offended group said that having Ultron lock her up in a cell was demeaning. Excuse me?! He rips her off the Cradle, flies her back to his base, during which time she is completely stunned by the impact of his attack. When she comes to in the HYDRA base Ultron commandeered in Sokovia, she finds herself facing an eight foot tall robot who could snap her like a twig – especially with his new, vibranium-plated body! I see no problem with this scene, in so far as Natasha wisely keeps herself alive to fight later on. Any other captured member of the Avengers would have done something similar, as the cell was the nearest accessible point of refuge. And Natasha’s rescue, as far as I am concerned, was perfectly normal. It was also a great way to show that Beauty does not always need to rescue the Beast (sorry, Bruce). Another crowd was apparently angry about the scene at Hawkeye’s farm, where we learn that Natasha was sterilized by the Red Room operators and, as a result, is unable to have children. Okay, either these people did not – and do not – want to do their research on Marvel’s characters, or they take everything in the films at face value. Both of these attitudes are preposterous, because the filmmakers cannot, after a point, make up the characters and the stories out of whole cloth. Marvel will not and cannot let them do that if they are to preserve the integrity of their characters and storylines for their fans. It will not work, because the movies will not sell if it is attempted. So I am sorry to be the bearer of bad news, but the fact is that in the “mainstream” comics, it was already a well established fact that Natasha Romanoff and the other Black Widows were all sterilized. The film version of the process is actually more thorough than the comic book depiction. In the comics, it was the Soviet version of Cap’s super soldier serum, which the Red Room handlers used to enhance their “charges,” that rendered the Black Widows sterile. Was this a result of the Red Room serum’s inferiority to Dr. Erskine’s serum, or was it a planned “defect” the Soviets purposefully added to the mix? The point is debatable, but I lean toward the latter argument. If the Widows could not have children, it was “one less thing [for their handlers] to worry about.” And why should a Widow respect the lives of others when her own life had been so completely and carefully stolen from her? The people who trained/raised Natasha wanted “a liar and a killer” who would do whatever they told her to do. They brainwashed her and the other girls, tore them down mentally and emotionally over and over again, until the girls could and would be whoever and whatever they needed them to be to get what they [the handlers] wanted. Natasha Romanoff was a tool, a slave, which they could remote control. They tried to erase everything – everything – in her that would possibly make her want to stop working for them. They did not manage to erase everything, which Clint figured out real quick, but the fact is that they wiped out a whole lot. The most important thing they erased was Natasha’s ability to have children. All the brainwashing and training in the world cannot get rid of the potential that a female operative in Natasha’s line of work might have children. The one thing left that could probably unlock the chains the Red Room handlers had wrapped her in was that if, during a mission, a Black Widow had a child. The child did not necessarily have to be born; it just had to be conceived. Once that happened, there would be no threat on earth, no chain under heaven, which could possibly convince Natasha or any other Black Widow to keep on playing the role of killing machine. Not when they had an innocent life they wanted – needed – to protect. The best way the Red Room could make certain that Natasha and the other Widows remained loyal slaves of the Soviet regime was to remove any chance that these women could have children. The thing to remember, readers, is that Natasha can still lead a fairly normal life. This is something Bruce knows and she has not yet realized. Natasha cannot physically have children, but she could still get married and adopt a child or a number of children. She is fond of children. Bruce saw that at Hawkeye’s farm. In all truth, I think Natasha would make one hell of an adoptive mother. Having been deprived of her innocence, she knows how precious it is and is therefore willing to protect innocents – children especially – with everything she has. That is basically all you need in a mother. But because Natasha will not forgive herself for her past, she has not moved on to that chance at a mostly normal life. She stays where she is, still chained by her guilt, by the idea that she is a monster manufactured by even worse fiends. Frankly, I am glad Whedon put this note about what the Red Room did to her in the movie. It ties back to the original comics and it adds a dose of hard reality to the film and the franchise. I think it needed to be there. Of course, some other offended viewers also say that Natasha’s part in these scenes is demeaning because it makes her “less of a role model” for young girls. Pardon me for being so “backward thinking,” but I dare say that if Natasha Romanoff herself heard the words “role model” applied to her, she would laugh in the face of whoever called her such a thing! Natasha Romanoff’s code name is the Black Widow, people. It happens to be a name she shares with a poisonous North American spider that is supposed to kill and eat its male mate. In her role as a Soviet spy, Natasha killed hundreds of people. And not just men, though they were very likely her primary category of targets. The stories about real black widows say that they kill and eat their male mates, after all. But a deleted scene from The Winter Soldier shows the main villain of the film, Alexander Pierce, mentioning that Natasha had a role in something called the “Children’s War.” So it would appear that the Soviets were indiscriminate when they told Natasha who to target. If her handlers told her to take someone down, she did it. No reservations, no mercy, no regrets; she killed whoever they marked for death. End of one hellaciously ugly story. So if the Black Widow, a.k.a. Natasha Romanoff, is a role model for young modern girls, does that mean we want our girls to grow up to be “liars and killers” like she was – and still is, occasionally? That is what Natasha would ask, and what she would see as the implication in people calling her a role model! If Natasha wanted young girls to turn out like her, I do not think she would be letting Lila Barton draw pictures of butterflies or encouraging her in other traditionally “girly” pursuits. Considering Natasha supports the child in these activities, I think she wants Lila to turn out more like Laura than like her! All of this is not to imply, readers, that I think young girls should not admire Natasha Romanoff. I admire and like her quite a lot, actually! However, I would be much happier if people allowed girls to admire and look up to Natasha for the right reason. That reason is this: Natasha was raised to be a “liar and a killer.” But one day, she chose to be something else. She chose to do the right thing when she had been brainwashed and programmed into believing that making such a choice was to choose weakness. Despite years of training and programming, Natasha did something her handlers had believed was impossible for her to do: she made a choice of her own free will. And that choice was to be someone good, someone who was not the “liar and killer” her handlers had spent so much time and energy molding her to be. In making this choice, Natasha found herself. She left the Darkness behind and entered the Light. This is an extremely brave choice to make, something girls who admire Natasha should understand. Her choice had to have scared her to death on some level. Going from complete Darkness to bright sunlight for someone in her position is quite the change. But she did it anyway. All this talk about Natasha “learning to make choices for herself,” is from people who are not looking at her properly. Natasha has already made a series of independent choices, starting with the one where she said to herself, “I will do what I know, in the law written on my heart, is right,” and followed through. She then made the choice to join up with Clint and follow him into SHIELD. In making that decision, she chose to protect people. Then she chose to become an Avenger when Loki tried to take over the world. In The Winter Soldier, she chose to help Cap stop HYDRA, even when it meant letting the world see her gruesome past sins. After this painful episode, she decided to be an Avenger full-time. These are all very big choices that Natasha has made in Marvel’s movies, perhaps without truly realizing the full implications of what she was choosing. And in Age of Ultron, Natasha made another big choice. She chose to fall in love with Bruce Banner. Think about it. She was very likely trained to believe that love of any kind was weakness. But she fell in love with Hawkeye as a brother figure, she who had never known even the love of sisters, since the Red Room violently discouraged the sisterly instincts of the Widows it manufactured. (Check out the Agent Carter episodes on the Red Room to learn more about that.) Then Natasha found sisterly love with her battle brother’s wife Laura, and learned to love like an aunt by interacting with the Barton children. But with her own ability to have children gone, how could she possibly find love with a man? If she fell in love with a man who wanted children, how would he react to the news that she simply could not have any? How would she take being married to the man of her dreams but being without the ability to make their marriage a family life? So she shut herself off from romantic love. “Love is for children, I owe him [Clint] a debt,” she told Loki in The Avengers. It was not a lie; it was a way of protecting herself and others from disappointment. Loki thought he had found a woman like Sif: a warrior female who loved battle but who would also willingly surrender her warrior duties to have a family at the first opportunity of finding real love. He never realized that Natasha did not have any such designs for her future, for the simple reason that others had denied her that dream long ago. The only thing she felt she had left was her job at SHIELD, and later, her job as an Avenger. But in Age of Ultron, Natasha did fall in love – with Bruce Banner. And he could not have children, either, so it was a total win-win scenario for the both of them, right? Sadly no, it was not, and Bruce knew it. Even if he could not articulate it, he knew it. Natasha, once she lets go of her past and starts thinking the way she should, will realize that normalcy is not something unattainable for her. She could easily fall in love with a guy, marry him, and adopt a few children. There is nothing abnormal about that process and, as I said above, I think Natasha would make one hell of an adoptive mother. Yes, readers, Bruce also left Natasha because she threw him down a hole to awaken the Hulk so they could “finish the job.” Right when Bruce was perfectly prepared, for once in his life, to run off and leave the “job” unfinished. But I do not think Bruce hates her for it. The Hulk certainly did not look furious when he shut down the comm. on the Aveng-jet. But he did look very sad. Because he and Bruce both know that they have no room in their life for anything or anyone normal. Bruce cannot be a father. It just will not work. Hulk cannot be a father either. There is nowhere in the world they can go without risking hurting someone. They can never give Natasha what they both know she deserves and is almost ready for: a husband and a family. Even though the fact that Bruce and Natasha cannot have children is something they have in common, Bruce would not be the greatest adoptive dad in the world. The Hulk wants his say in everything in Bruce’s life. Bruce and the Hulk may be able to avoid being a threat to Natasha, but what about children? The Hulk has a soft spot for kids, sure, but not on a daily basis! Natasha has not quite worked that out yet, from what we can tell. She fell in love with a man, for the first time in her life, and she knows that Bruce shut off the comm. to protect her. But – as of the end of Age of Ultron – Natasha may not yet truly realize just why and what he is protecting her from. Bruce can never lead a normal or semi-normal life. Never. Until the day he dies, he will always be contending for physical/mental space with “the big guy.” There is not room in his earthly life for anyone else. But Natasha can have a mostly normal life, and Bruce knows it. He also knows that denying her that opportunity for such a life would make him just as bad as her old Red Room handlers. And he loves her too much to do that to her. The best thing Bruce can do for her – the only thing he can do for her – is to let Natasha go and find someone she can live a normal life with. He had to do the same thing for Betty Ross. If anything, Natasha needs the opportunity more than Thunderbolt Ross’ daughter ever did. Before I sign off, readers, there is one more thing I should say about Natasha’s role in Age of Ultron. It was a good role, and viewed as she should be, Natasha Romanoff is a character any girl can admire and enjoy. She deserves that admiration, not for her skills or her knowledge, but for her decision to do the right thing, no matter how much it hurts her. Hopefully, she will keep up the good work. We will have to wait to see the end of Civil War to know just how well she gets off in Phase Three of Marvel’s film franchise. As a fan of Natasha’s, I sure hope she makes the right choice again in Civil War. Otherwise, she will just be left with more guilt and sorrow. I do not wish that on her or anyone else, readers. 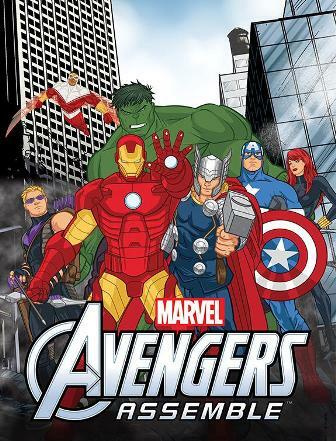 This entry was posted in Marvel Comics' Characters and Stories, Movie Reviews and tagged "mainstream" Marvel Universe, adoption, Africa, Age of Ultron, Avengers, Avengers: Age of Ultron, battle, black widow spider, Black Widow/Natasha Romanoff, Captain America/Steve Rogers, Captain America: Civil War, Captain America: The Winter Soldier, children, Chris Evans, Chris Hemsworth, Communist Russia, Communists, Dark Side, equipment, forgiveness, free will, Hawkeye, Hawkeye's family, Hawkeye/Clint Barton, Hulk/Bruce Banner, Inspiration for Girls, Iron Man/Tony Stark, JARVIS, Joss Whedon, kung fu, Loki, Love, Mark Ruffalo, Marvel Cinematic Universe, Marvel Comics, Marvel Comics' Characters and Stories, Marvel fans, Marvel films, Marvel's The Avengers, motherhood, Movie Reviews, Red Room, Robert Downey Jr., Robert Redford, Role Models, romance, Russia, Scarlett Johansson, Soviet Russia, sterile, superheroes, The Hulk, The Scarlet Witch, Thor, Thor Odinson, Tom Hiddleston, Tony Stark, ultron on February 22, 2016 by The Mithril Guardian. Captain America/Steve Rogers is one of my favorite characters ever. I thoroughly enjoy both of the previous Captain America films, and Cap’s part in The Avengers was one of the big selling points of that film for me. As an example, consider Cap’s relationship with Thor in Age of Ultron. Thor and Cap have always been great friends in the comics. I do not know if the two have ever fought each other as Tony and Cap will in Civil War – they may have, I just do not know if they did. Throughout the film, we see that the two have developed a mutual respect and trust. They use tag team tactics – first at Strucker’s HYDRA base, then in Novi Grad – when they fight side by side in a battle. This friendship was foreshadowed in Thor: The Dark World, when Loki tormented Thor on their way out of Asgard by playing juvenile tricks. One of the ways he irritated the Thunderer was by turning into Captain America and acting like a dork. I do not think Thor was rough with Loki after that just because there were guards nearby. It was a good excuse to shut up a genuinely irritating Trickster. Out of all the Avengers who Loki could have chosen to imitate to annoy his adopted brother, he picked Cap. That is not a coincidence. Loki knows Thor too well to just pick a barb to jab him with at random. He chose Cap on purpose because he knew doing so would get Thor’s goat. Okay, I have to beg your indulgence here, readers, because I am going to detour for a minute and go back to the hammer lifting competition Hawkeye started. As we know, Cap budged the hammer and Thor very nearly turned white as a sheet. Since seeing this, a lot of people have said that Cap cannot lift Mjolnir in the Marvel Cinematic Universe. Only Thor and Vision can wield the hammer in the movies because they are worthy. Ummm, sorry, no. Cap actually has used Mjolnir at least once in recent, “mainstream” comics. He is as worthy to wield that hammer as Thor or Vision. He can lift and use Mjolnir in the comics and, I am sure, in the movies as well. All right, some say, if I am so sure of this then how do I explain Cap leaving the hammer on the table after budging it in Age of Ultron? Well, Thor was planning to take the scepter back to Asgard after the Avengers retrieved it. That was made pretty clear. The party Ultron crashes is essentially Thor’s “good-bye for the next little while” bash. What kind of friend would Steve be if he embarrassed Thor at an event like that? Steve left the hammer where it was. He did not complain that the hammer was too heavy for him like the others did, but raised his hands in an “Okay, I tried it, that’s it,” manner and walked away. Forget for a minute that Cap let go of a power others would have snatched up in a moment; the scene shows the respect he has for Thor. He will not steal his buddy’s thunder. (Sorry, but I had to! :)) Thor knows he can lift the hammer, and Steve knows he can lift the hammer. That is good enough for Cap. Now, does this mean that Cap would not use Mjolnir in an emergency? I believe the reason he grabbed the hammer in the comics was because the world was experiencing an enormous emergency, and Thor was incapacitated. So yes, I think Cap would pick up Mjolnir in the films if he had to, or if Thor tossed it to him. But if he does not need it, he is not going to take it from his friend. This is one of the foundations of Thor’s trust and respect for Steve Rogers. And this is why Thor releases his choke hold on Tony when Cap asks him to put the billionaire genius down. He will fume and storm (maybe literally), but when Steve asks him to do something, Thor will do it. Not because he is intimidated by Cap but because he respects him. We also see that Cap and Natasha’s respectful, affable rapport in The Winter Soldier has grown stronger. Just like the friendship between Tony and Rhodey is given a good showing in Age of Ultron, Cap and Natasha are shown to be tighter compatriots in this movie. When in their previous adventures together would he have thrown her the shield to use in battle? Natasha could not handle the weapon prior to Ultron, and her use of it in Novi Grad implies that Cap has trained her in rudimentary use of his shield at least. That speaks volumes right there! Cap’s friendship with Bruce has also grown and expanded by the time we see them together again in Ultron. We have known since The Avengers that Steve sympathizes with Bruce – and that Cap is one of the few people the Hulk will take orders from, especially if that order is to “Smash.” We do not get to see Cap interact with the Hulk much in Ultron (bummer), but we do see that he and Bruce get along pretty well now. This is made poignantly clear when Cap quietly tells Bruce he should start dating Natasha. He refers to the fact that he waited too long to accept Peggy’s advances and has since paid the price, urging Bruce not to make the same mistake. It is a sweet, if a little flabbergasting, scene. I was not expecting Natasha and Bruce to be an item in the movie, and I was definitely not expecting Cap to give their budding romance his seal of approval! Still, it makes sense. And it shows that Cap holds Bruce in high regard. Bruce is not a pawn to him, a machine you press a big green button on to unleash a nuclear option. He is a friend Cap wants to protect and prevent from making what he believes is a mistake. As I have said elsewhere, I was really happy with the friendship between Cap and Hawkeye in this film. Everybody likes to describe Clint as a loner since the movies have come out, and it is true that he has not always been the happiest of team players. Why this is in the movies, I am not sure; in the comics it was because he did not have good experiences with people in authority. In the films, Clint is much more mature, and so there is no battle of wills between him and Cap as there were in the original comics. Instead, the two appreciate each other, in the way that commanders and valued officers often do. Clint is shown to defer to Steve when the other has an order for him (though not always happily). The two get on well as battle brothers, with Cap obviously being the “elder brother” while Clint is the loyal “younger brother.” Of all the members of his team, Cap can probably count most on Thor and Hawkeye backing him up in a fight. Though Clint naturally stays out of Cap’s fight with Tony in Avengers’ Tower, he does so for practical reasons. He divested himself of his gear when he got to the Tower, and he cannot handle repulsor blasts as well as Cap can! They would knock him down for the count, whereas a repulsor shot simply knocks Steve over. Cap is not given much time to get to know the twins or Vision in Age of Ultron, but we know that Wanda takes to him pretty quick. For his part, though Cap growls at the twins after they help him stop the train running amok through South Korea, he does not appear to truly resent Wanda or her brother for what they did to him and his team in Africa. Instead, he listens to Wanda’s warning about Tony trying to “fix” the problem again, and accepts that she is probably right. He then brings both her and her brother to the Tower. This is quite a lot of trust to show to someone who hypnotized him – and was probably prepared to kill him – not too long ago! Wanda’s way of speaking to Cap when she met him in Korea is not belligerent, as it might have been with Thor, Bruce, and definitely with Tony. She is instead respectful – if a little desperate – and she speaks to him as one would speak to a trusted authority figure. Even if she was afraid of him, she did not show it. Score another point for Cap’s ability to “walk with Kings — nor lose the common touch”! That gets Pietro’s attention. He realizes then that Cap is not speaking in platitudes or preaching sermons. He understands suddenly that Steve Rogers is not a propaganda piece of the U.S. government or of any government. He is willing to defend Pietro’s country as well as his own simply because it is the right thing to do. As Cap said when Maria Hill gave him the dirt she has gathered on the twins, he empathizes with Pietro and his sister. They have seen their country and its people trampled by one dictator/power-grabber after another, and they are fed up with it. He understands that they want to end their nation’s suffering, and that they were desperate enough to fight for their country that they allowed HYDRA to experiment on them. In this scene aboard the Aveng-jet, Pietro learns that Cap truly does empathize with him and his sister. This cements his loyalty to the team and makes him amenable to Cap’s orders. It is as close as we get to a nod to the comics; in the original stories, Pietro seemed to respect Cap as a father-figure. This scene hints that their relationship in Age of Ultron is not very different from that in the “mainstream” comics. When Pietro is killed, Cap rushes over to him and Clint to find out if anything can be done for their speedy young recruit. This is a good scene for Cap, because it shows how much Pietro learned from him in the short time he knew him. Steve Rogers is willing to die for his friends and for strangers. Pietro knew the boy Clint was holding, but he only knew the archer as an Avenger and former enemy – one he had a rivalry with, at that! But by fighting alongside the Avengers, under Cap’s command, Pietro learned everything he needed to know to be a true hero. As for Vision – intellectually, he and Cap appear to agree on a lot. Cap is only distrustful of him because the last robot he met was trying to kill him. In this respect, Vision and Cap are still learning how to understand each other. Vision is totally new, inexperienced, and unprepared for life. He also possesses enormous power, intellect, and knowledge. That is a tricky thing to deal with; you basically have to learn to care for a child with a genius IQ in an adult’s body. And then you have to factor in the added difficulty that the adult body has far more power than a normal human adult has! From what I know of the comics – and the show Earth’s Mightiest Heroes – Cap and Vision are very good friends. It makes their coming Civil War split all the more heart wrenching, especially since Vision will still be learning in that film. He is about to get an especially hard, nasty lesson in human affairs – and he will be studying that lesson opposite Cap. Ouch! I have left Cap’s relationship with Tony ‘til last. Some complain that Cap and Tony have barely had time to form a friendship within the film franchise. But the truth is that they are, in fact, very good friends within the film franchise. Before Tony is subjected to the vision which puts him on the path to building the maniacal Ultron, we see that he and Cap have indeed gotten over the antagonism they demonstrated toward each other in The Avengers. This is made most obvious, paradoxically, when Wanda hypnotizes Tony. In his vision, Wanda showed Tony his greatest fear. Tony sees most of his close friends dead and dying (in the case of the Hulk). The first ‘body’ he goes to is not only the one which is closest to him physically, but the body of the person he has come to greatly value and admire. Cap is one of his closest and best friends, in part because Steve is a great friend to everybody who earns his respect and amity. In part, they are also friends because Steve is a much more likable link to Tony’s father than Fury ever could be. In the vision, to Tony’s horror, Cap suddenly grabs him and accuses him of failing to protect the Avengers, as well as the Earth. This, more than anything else, is what goads Tony into rushing “the Ultron program” through to completion – and setting off the events of the film. Having faced failure and the loss of friends in battle, Cap is no longer afraid of failing. He has learned never to lose hope during these moments of apparent defeat. Natasha noted this in The Winter Soldier: “Well, you seem pretty chipper for a guy who just found out he died for nothing,” she quipped. Tony has not experienced defeat in quite the same way. Oh, sure, he has been kicked in the teeth and picked himself up to fight again. But in the case of the films, where Cap jumps up and runs right back into the fight, Tony usually needs time to get his breath back. He has to decide to fight. Cap does not do that. He decides to fight from the get-go, and he fights to win, no matter how long it takes or how much it costs him. He fights in an all-or-nothing manner which Tony does not. This is what he tried and continues to try to communicate to Tony in the films, starting in The Avengers. In that movie, Cap attempted to explain that in a war you will, inevitably, lose something. It could be anything: a limb; blood; time; innocence and naïveté; your sense of security; your friend(s), and even your own life. Accepting that does not make anything about a war easier. But it gives you more reason to try and end the conflict quickly, so that others will be spared your loss. In Age of Ultron, Tony was looking forward to a future war and trying to stop it before it started. As Cap says, you cannot do that. “Always in motion is the future,” said Yoda. It is obvious Cap understood this Star Wars line better than Tony did. What Yoda meant and what Cap understands is that trying to stop a war that has not happened can lead to the very conflict you are trying to prevent. The treaty of Versailles was supposed to be the end of all wars in the West, but it actually marked the beginning of “half time,” which ended with the opening of World War II. The result of Tony’s plan to shield the planet from outside attack was a digital creature bent on eradicating humanity from the face of the Earth. Great plans, both of them. They each failed miserably. If Tony had instead spoken about his vision, told the others of his fears, they might have worked something out. Or at least accepted that they could be in for one hell of a fight in the future, and that it might be a war they would not walk away from. Instead, he tried to fix a problem before it happened. Temporal mechanics are not controlled. 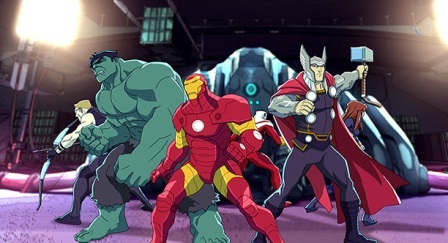 You may be able to modify a car engine so that it has a slim chance of breaking down over the course of a thousand years of use, but human – and in the case of the Avengers, alien – affairs cannot be so easily rectified. If you are going to sign up to be a “bouncer” for the world, you had better be prepared to do your job or die trying. The result of “bouncers” such as the Avengers resigning or not doing their job is “global extinction.” Cap knows this. Tony is learning it – the hard way. Speaking of visions, one of my prognostications said that when Wanda hypnotized everyone, she would try to paralyze Cap with regret. I still think that prognostication is not far off the mark. She gave Tony a vision of his greatest fear: failing his team and the world, while remaining the only one alive when all was said and done. She threw Natasha’s worst memories at her, hitting the Black Widow in the one place it truly hurts. And whatever she made Bruce see, it made him angry enough that he was happy to fight her without even turning green. If this last is what Wanda did, then Thor alone got a look at something more than smoke and mirrors. He had actual glimpses of the future, something his journey to the dream well proves true. But what does Cap see when Wanda hypnotizes him? A welcome home party for the World War II troops, complete with Peggy Carter. Everything he ever wanted – and everything he cannot have the way he wanted it. The look on Cap’s face is angry, but that anger – along with the jab about his teammates keeping secrets from him – is meant for Tony alone. Steve has no beef with Clint over his “secret” family. He is not even upset with Natasha for helping Clint keep his family under wraps. He understands why Clint did it and there is no way he will be spilling the beans on Clint’s private life. However, Steve is still sad. He is sad because Clint has everything he wanted to have at the end of World War II. If Cap had not been frozen in the ice, he would have married Peggy and found a place like Clint’s farm on which to settle down. For all he knows, he and Peggy might have had children, too. And this desire, this longing, is what Wanda played on. She showed him what he wished he had had at the end of that first war he entered. Peggy is there, standing behind him, offering him a dance. He is surrounded by revelers celebrating World War II’s end. Then, abruptly, the dance hall is empty. Why? It is empty because Cap knows what a fantasy looks like. He dreamed for seventy years in the ice. Even if he cannot remember the dreams precisely, that is what he did. Wanda tried to trap him in a fantasy world again. But Cap has too much of a grip on reality for the trance she put him in to do more than make him remember what he sacrificed when he saved the world, and how much that sacrifice still hurts him. Cap shakes his sadness off fairly quickly, all things considered. There is no room for such sorrow with a rabid robot running all over the world. And mourning his sacrifice will not change the past. The past is gone; the future, a mystery. The present demands a lot of attention, especially with Ultron on the loose. So while the others get through their problems, Cap keeps himself busy and is as useful as possible. He is not hiding from Ultron, and all he really needs to do is let go of the past, which he does while the rest of the Avengers cool off. Once they figure out Ultron’s plan, he gets his team into gear and heads out to do what they have to do: save the world. Again. As a last note on this subject, Cap does not yet realize that he can still have a life like Clint’s. At the moment, he is not looking in that direction, for the simple reason that his lady is still alive. She may be ninety and senile, but Cap is not going to two-time Peggy, even with her express permission. With Peggy’s death in Civil War and Sharon Carter’s scheduled appearance as a member of Cap’s team in the same film, I am pretty sure he is going to be getting a new girlfriend very soon. This entry was posted in Marvel Comics' Characters and Stories, Movie Reviews and tagged Aaron Taylor-Johnson, Agent 13/Sharon Carter, Avengers: Age of Ultron, Black Widow/Natasha Romanoff, Captain America/Steve Rogers, Captain America: The Winter Soldier, Chris Evans, Chris Hemsworth, Elizabeth Olsen, Hawkeye's family, Hawkeye/Clint Barton, Hulk/Bruce Banner, HYDRA, Iron Man/Tony Stark, James Spader, JARVIS, Jeremy Renner, Joss Whedon, Mark Ruffalo, Marvel, Marvel Cinematic Universe, Marvel Comics, Marvel Comics' Characters and Stories, Marvel fans, Marvel films, Marvel movies, Marvel's The Avengers, motorcycles, Movie Reviews, Paul Bettany, Peggy Carter, Quicksilver/Pietro Maximoff, Robert Downey Jr., Scarlet Witch/Wanda Maximoff, Scarlett Johansson, SHIELD, superheroes, The Hulk, Thor, Thor Odinson, Thor: The Dark World, Tony Stark, ultron, Vision on February 9, 2016 by The Mithril Guardian.